Just a reminder tonight's varsity track meet is at Field HS vs Rootstown. Tonight's JV baseball game at Cardinal has been cancelled. New and returning CCP Students, Your Intent to Participate paperwork is due Monday, April 1st! Varsity Baseball tops Windham 13-0 behind Spades no hitter!! Congratulations to Hunter Andel and Keegan Sell for placing 4th and 7th respectively at today’s OAC Middle School State Wrestling Tournament! Information regarding the postseason bowling banquet can be found in the High School Office. Please stop by and grab a copy if you plan on attending. Just a reminder mandatory high school track and field practice begins Monday 3/4. Make sure all your forms are complete on Final Forms and you bring warm clothes to practice outdoors. Great job Noah Hoffmann on qualifying for tomorrow’s semifinals in the 220lb weight class at the Division 3 District Championships!!! Middle School Track practice will begin Monday 3/4 after school and last until 5 PM. Athletes must have all forms updated on Final Forms and a current physical on file. 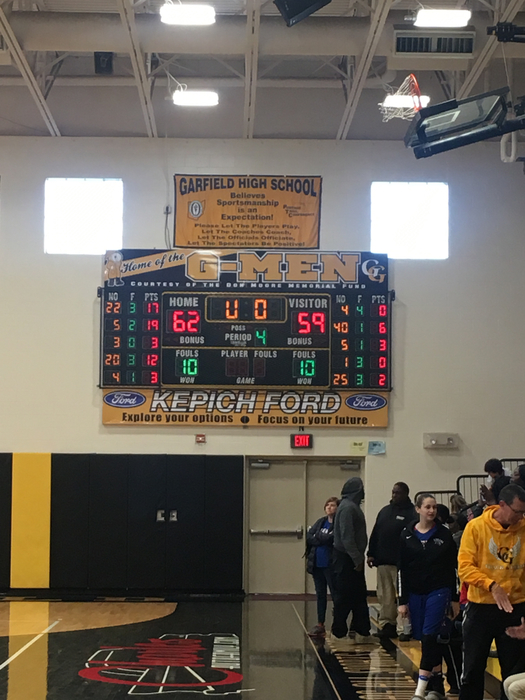 The 8th Grade Lady G-Men are your 2019 PTC Champions!! The girls defeated Southeast tonight for the title!! Great job ladies!! 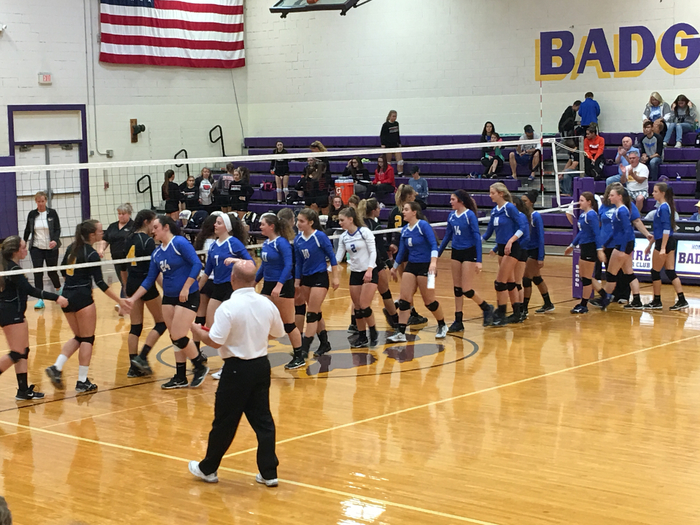 Congrats to the 8th Grade Lady G-Men for making it to Tuesday’s PTC Title game! Congratulations Lady Bowlers! The girls qualified for next weeks District Tournament for a chance to compete in Columbus! Great job by our middle school wrestlers today, placing 2nd overall at the PTC Championships! The team was lead by league champions Hunt (92), Hoover (98), Andel (116) and Sell (122). The 7th grade boys basketball team will play Lake Center this Saturday @12:30 @Crestwood MS. The 8th grade boys basketball team will play Valley Christian this Saturday @12:30 @Crestwood HS. All Middle School practices are cancelled for Wednesday and Thursday. Thursday's MS Basketball games with SE have been postponed. No make-up date has been determined. Tonight's boys basketball game at Ravenna will be played as scheduled. JV begins at 5:30. The 7th Grade Boys Basketball team will play first this Thursday against Rootstown at 4 PM. The JAG Athletic Department is in need of someone to take tickets at tonight’s boys basketball game. If interested please contact Jim Pfleger at jpfleger@jagschools.org. If you have any gifts that need wrapped bring them Saturday between 1-4 PM to the HS Commons and have our NHS members do it for you!!! 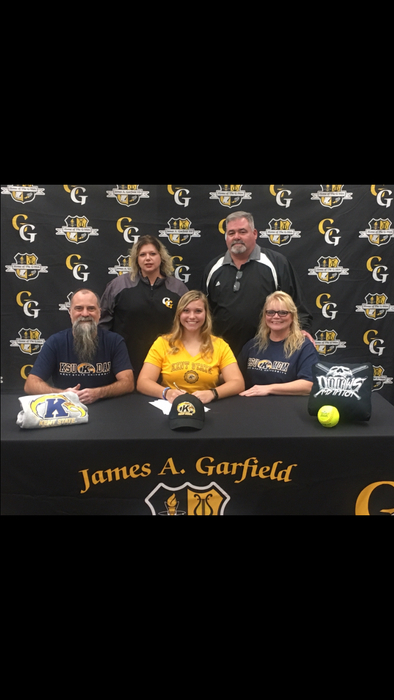 REMINDER to all JAG Softball players selling College Bowl tickets: all money and tickets must be returned to Coach Faulhaber by this Wednesday, the 19th. Thank you! Congrats to the boys bowling team for beating Rootstown and the girls for beating Rootstown and Southeast! 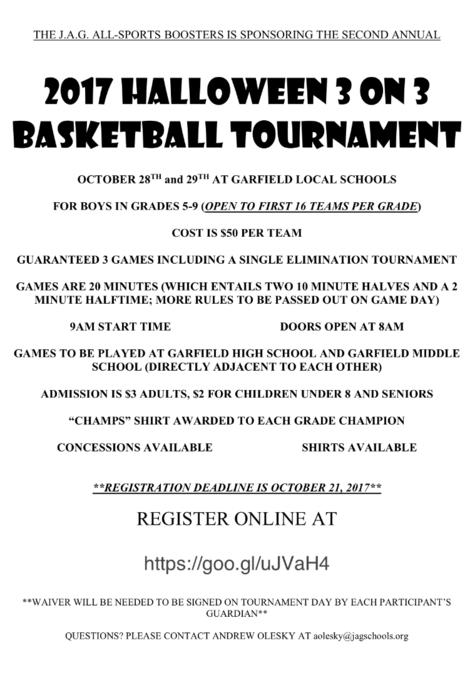 The JAG Athletic Department is in need of ticket takers for Middle School Boys Basketball. Please contact Mr. Pfleger or Mrs. Young in the High School Office if interested! Reminder – HS Football banquet RSVP’s are due 11/18 – see Colleen or Beth at the Cellar Door Coffee house from 12 – 2. Congratulations to Tyler Klouda for placing 10th at today’s State Cross Country Meet. This was Tyler’s 8th All Ohio finish! 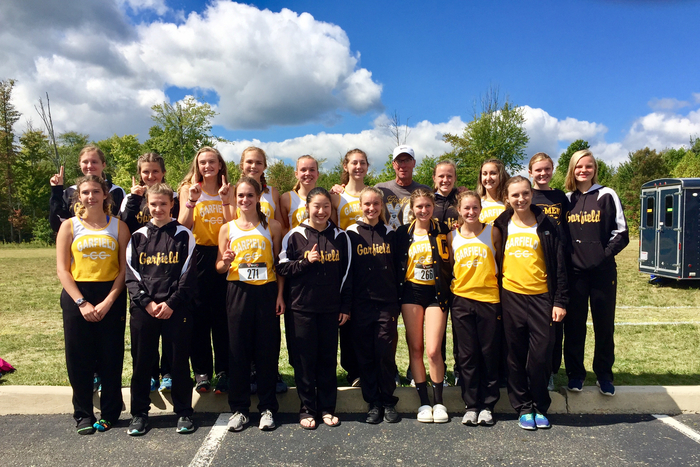 The 8th Grade Lady G-Men are your 2018 PTC County Division Champs!!! The 2018-2019 Junior High and High School Wrestling Season is almost here. Conditioning will begin on Monday October 29th. The coaching staff would like to remind all returning and new wrestlers to review and submit all required Final Forms. Starting Tuesday we will be selling presale student tickets for $4 and advanced adult tickets for $6 for Friday's Homecoming game. Both will be on sale in the High School Office and at all lunch periods. Beat the line and purchase your tickets early! 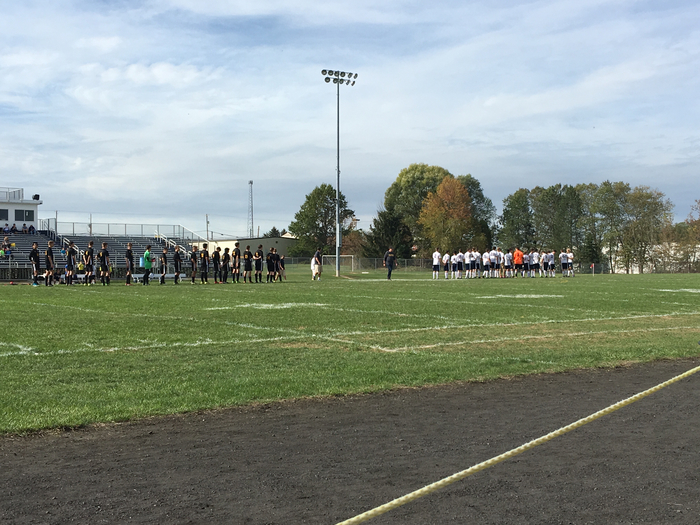 Tonight's varsity soccer game against Waterloo has been moved to tomorrow night at 7 PM following the girls game due to field conditions. Middle School Cross Country practice is cancelled for tonight. STUDENT ONLY presale tickets for Friday's game will be on sale at all lunches for $4 both Thursday and Friday. There will be a bowling meeting Wednesday after school at Sky Lanes to discuss uniforms. Tonight's 7th Grade Football game at Norton has been cancelled. STUDENT ONLY presale tickets for Friday's game against Berkshire will be on sale during lunch on Thursday and Friday in the GES Office for $4. All tickets are $6 at the gate. STUDENT ONLY presale tickets for Friday's game against Berkshire will be on sale during all MS/HS lunches and in HS office on Thursday and Friday for $4. All tickets are $6 at the gate. Make sure to stop by the Cross Country car wash following the scrimmage! Congratulations to Jacob Britton for shooting a low round 39 today including a EAGLE to lead the G-Men over LCC 188-203! The JAG athletic department is still in need of a few ticket takers for the fall and winter. If interested please contact Brenda at bbyich@jagschools.org or 527-4250. The JAG All Sport Boosters are hosting a sausage sandwich fundraiser on 8/19 from 11AM-6PM on the front lawn of the high school. Stop by for dinner and to support our athletes! The Lady golfers opened their season with a 216-272 victory over LCC! REMINDER: Girls soccer practice begins tomorrow Aug 1 from 430-8pm at the practice field behind the school. Bring cleats, guards & water! Remember BOTH parents and students must sign off on Final Forms in order to participate. No signature = no participation! Just a reminder, there will be a volleyball open gym for any 7th/8th grader tomorrow from 8-9:30AM. Athletes should meet by the Event Entrance. Sport Phyiscals are going on right now until noon in the MS gym. Anyone planning 7-12 planning on playing a fall sport must have a up to date physical! Just a reminder sports physicals will be Saturday 6/16 at 9 - Noon in the MS gym for $20. Copies of the physical form will be available. Tyler Klouda finishes 4th in the 1600 meters at the Division 2 State Championships in a time of 4:20.47! Tyler Klouda takes one of tge wild card slots in the 3200 to advance to next weeks State Championships! Tyler Klouda takes home the Regional Title in the 1600!!! 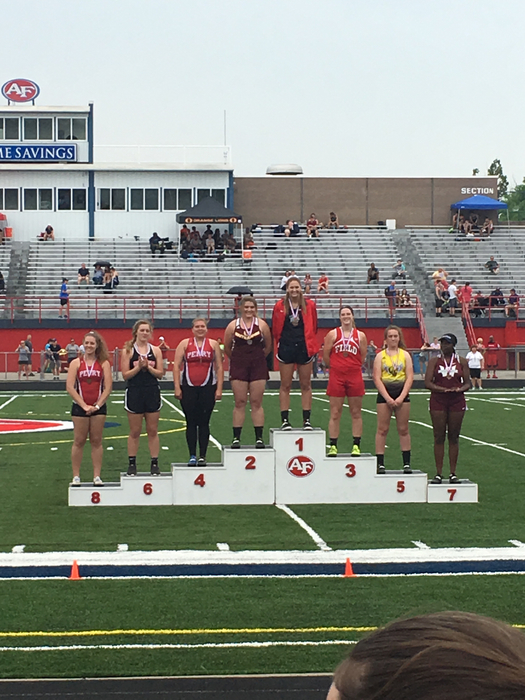 Great job Lilly Johns for placing 5th in the discus at todays Regional Meet! Congratulations to the boys 4x800 meter relay for placing 7th at the Regional Championships! 4x400 meter relay time advances to next weeks Regional Meet! Tyler Klouda breaks another District Title in the 3200! Alex Bell takes home the District Title in the 800 meters! Tyler Klouda wins the District 1600 meter totle and sets a new District Record with a 4:25.44!!! 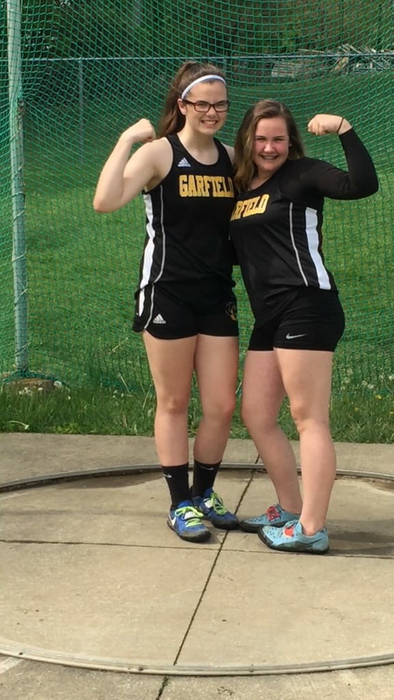 Congratulations to Freshmen Lilly Johns and Grace Edwards for qualifying for next weeks Regional Track Meet in the discus! Devyn Penna wins the District Title in the 100 meters dash with at tome of 11.61! Faith Mills qualifies for next week Regional Meet in the high jump! Sara Kittle qualifies for next weeks Regional Track and Field Meet! Dylan Wilson advances to next weeks Regional Meet in the discus! Boys 4x800 relay team won the District Championship at Lakeview. 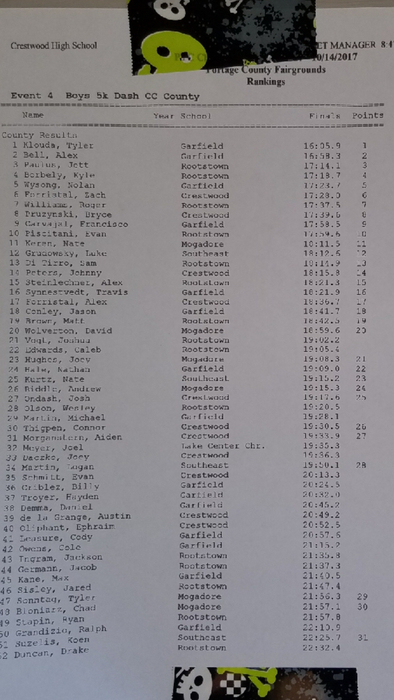 The boys advance to next weeks Regional Meet at Austintown! Congrats to Caydence and Jenna for getting 1st and 2nd in the discus at the PTC Meet! Congratulations to Riley LaPorte for breaking his own school shot put record with a throw of 49’10”!!! Their will be a meeting this Saturday 5/19 at 3 PM for anyone interested in playing high school football in the Auditorium. Congratulations to Jesse Grace for placing 9th in the discus at the MS State Championships. Jesse was the only 7th grader to qualify!!! Congratulations to Ryan Stoller for placing 8th in the 110 hurdles at the MS State championships!!! Congratulations to Riley LaPorte for placing 4th at the Middle School State Championships in the shot put!!! Dr. Riley will be offering sport physicals for any incoming 7th-12th grade student from 9 AM-Noon in the MS Gym on 6/16. Price is $20. Boys track defeats Crestwood to finish the regular undefeated! Our varsity baseball team will be playing Newbury at home tonight at 4:30. The JV team will play at Newton Falls at 5. Softball tops Valley Christian 28-0 in 5!!! Congratulations to Tyler Klouda for setting a new school record in the 3200 meter run at the Poland Invite with a time of 9:30.30!!! 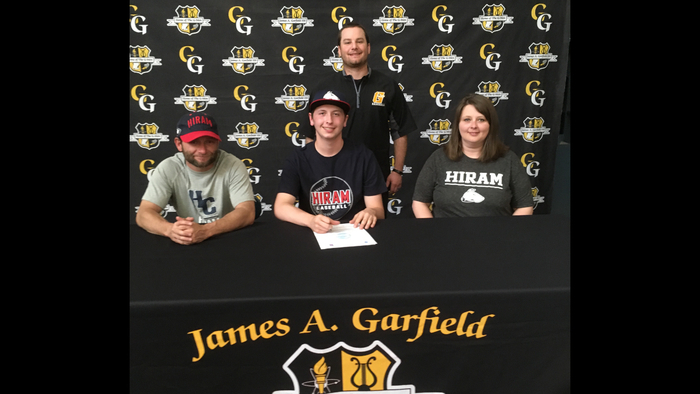 Baseball tops LCC behind Criblez 11 strikeouts! Both baseball and softball beat LCC. Softball 11-1, Baseball 3-2! Today's JV baseball game against Grand Valley has been cancelled. Just a reminder, Tuesday's High School track meet against Southeast and Valley Christian will be held at Streetsboro at 4:30. Congratulations to the Boys MS Track Team for taking home the title at the Salem Invite! 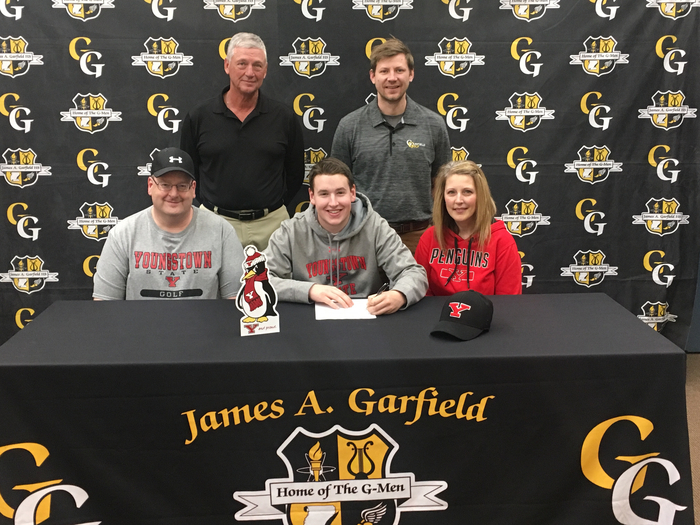 Congratulations to Derek Miller for signing his NLI to YSU where he will continue his golf career! Congrats to the MS boys track team for winning the Lakeview Invitational and the girls for placing 3rd! Stoller and Laporte were name MVPs! The start time for tomorrows JV Baseball game against Cardinal has been moved up to 9 AM. The Varsity game will follow. Baseball tops Southeast 12-10! The boys are now 3-0 on the year! Softball tops Southeast 10-8 on Van Kirk’s walk off homerun! Softball tops Southeast 7-0 behind Makenzie Clicks no hitter! The postponed Varsity Track Meet against Crestwood and LCC will be made up on Thursday 5/3 at 4:30 at Crestwood. All baseball and softball games for today have been cancelled. The varsity track meet at Streetsboro is still on. All baseball and softball games scheduled for today have been cancelled. No make-up dates have been announced. Varsity baseball defeats Windham 24-3!!! Congratulations to Logan Kissell for placing 3rd in the 145lb weight class at the state wrestling championships! Logan Kissell wins his first match 17-1! The 1st practice for Middle School track will be this Friday from after school until 5 PM. Make sure to bring warm clothes just in case! Tyler Klouda has just placed 3rd in the 1600m run at the indoor state meet with a time of 4:21.88! 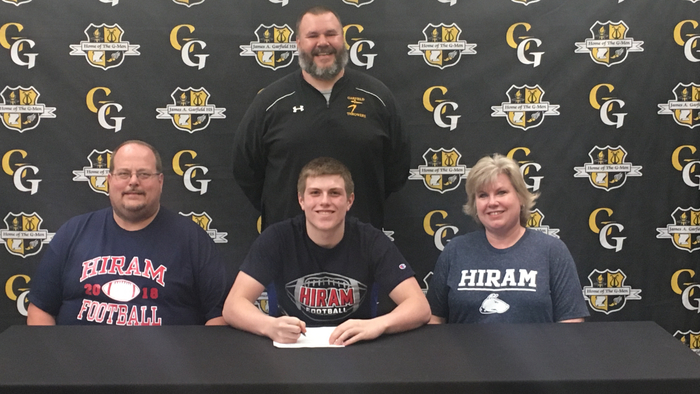 Great job Tyler! 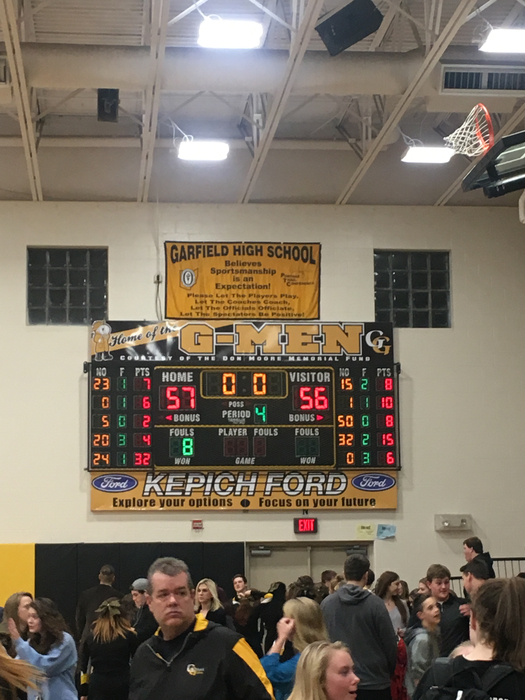 Boys top Cardinal 57-55 in OT!!! Gianna D’Amico (1600m), Tyler Klouda (1600m & 3200m) and Sara Kittle (shot put) have all qualified for the Indoor State Track Meet! There will be a meeting for the parents of any middle school student who is planning on participating in track this year at 5 P.M. this Thursday in the Commons. Presale Tickets for Wednesday's District Semifinal game will be on sale in the High School Office for $6 and $4. Big shout out to Tyler Lippert and Lauren Sanchez for placing 1st and 7th respectively at todays District Bowling Tournament!!! Lady G-Men Bowlers place 3rd at the District Meet and are heading to the State Tournament next weekend!!! 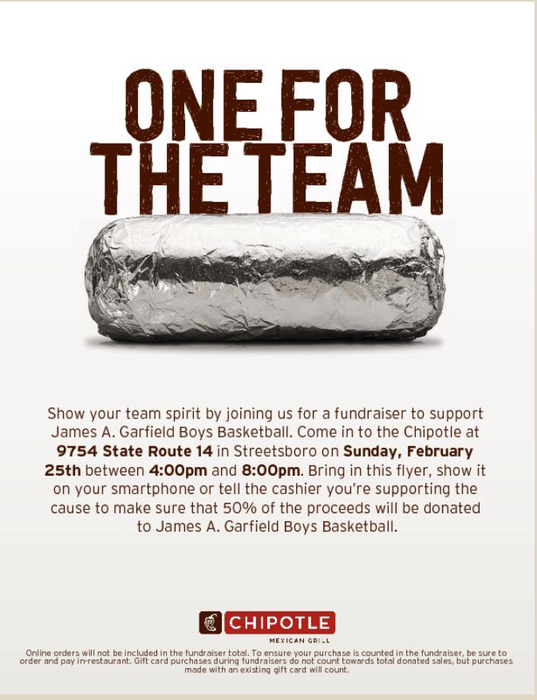 Come out this Sunday to the Streetsboro Chipotle and support our boys basketball team! Congrats to the lady bowlers for qualifying to next weeks District Tournament! Girls Basketball Brackets are out. 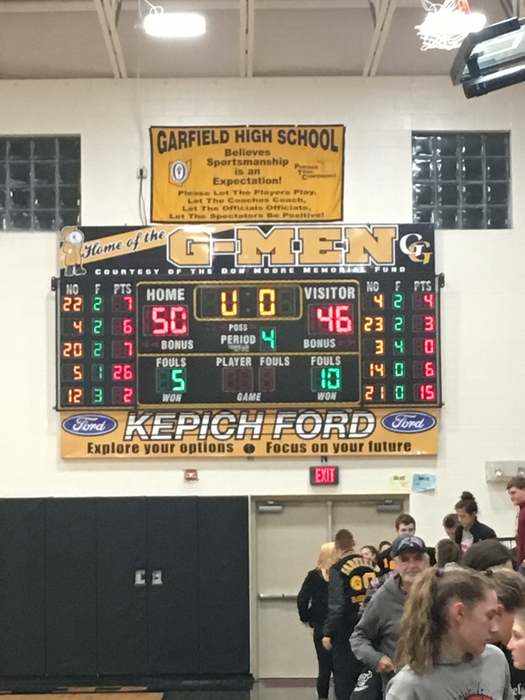 The ladies will play host to the winner of Conneaut and Rootstown on 2/24 at 1 PM. Congrats to the MS Wrestling team for placing 3rd overall at todays PTC Championships! Tonight’s Middle School wrestling practice has been moved to 5 PM at the elementary school with the varsity team. Practice will end at 7. Come out and support the JV and Varsity Boys Basketball teamstonight as they take on Mogadore. JV starts at 5 P.M.
Tonight's Varsity Girls Game against West Branch have been postponed until 1/29 at home. Today's MS games against SE will be made up on Tuesday 1/16 at 4:30 with the 8th Grade going first. Boys will be at SE HS and Girls will be home. 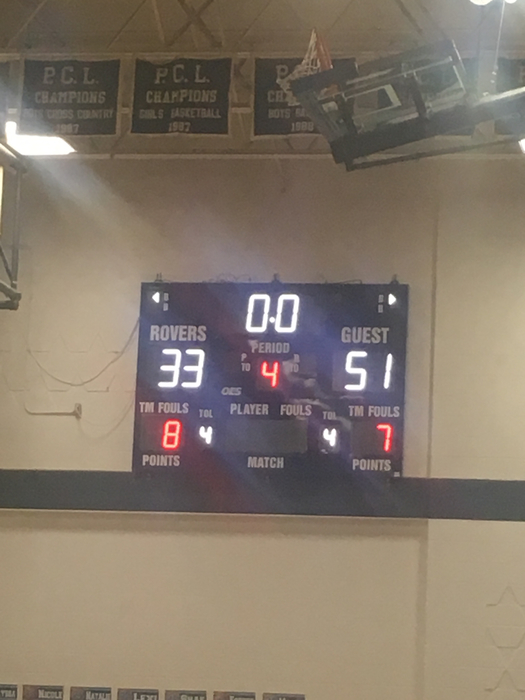 Freshman boys basketball defeated Waterloo 44-34 to move to 9-0 on the season! 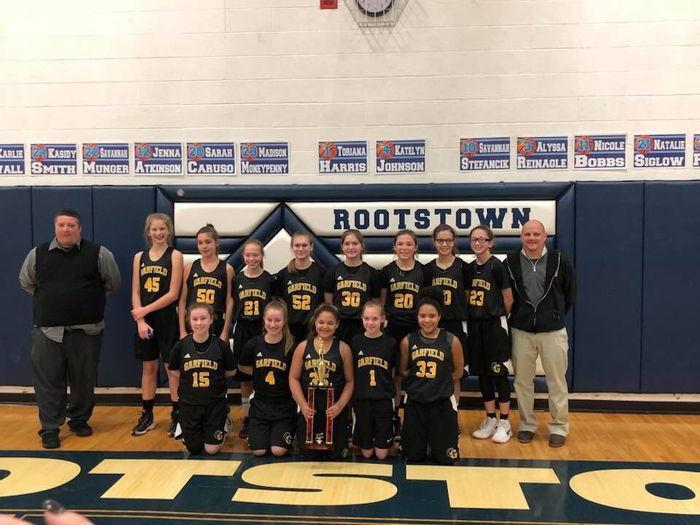 Congratulations to the 8th Lady G-Men for winning the Rootstown Holiday Tournament! 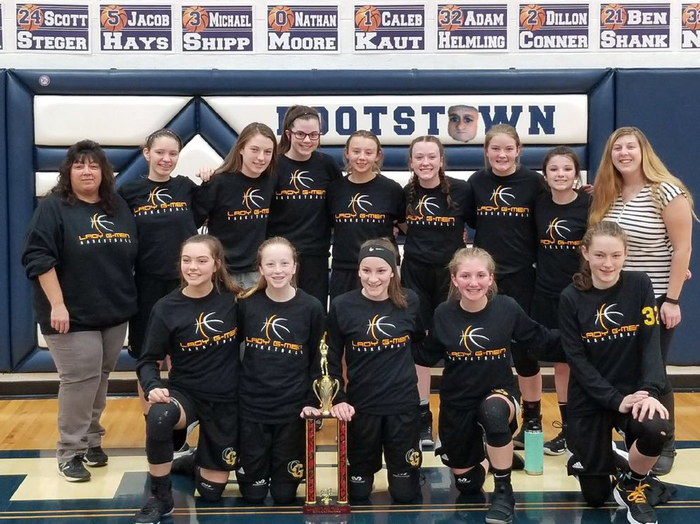 Both 7th and 8th Grade MS Girls Basketball teams won today at the Rootstown Tournament. Both teams play in next weekends championship games! Big shout out to our Lady Bowlers for topping Springfield and moving to 9-0 in PTC play. Lauren Sanchez lead the way with a 268! Yesterdays Middle School Wrestling match against Southeast has been rescheduled for 1/16 at 4 P.M. at Southeast. Tonights Varsity Wrestling match at Southeast is ON. Tomorrows MS wrestling match at Southeast will begin at 5 PM followed by the HS. Tonights Freshman Boys game against Western Reserve has been cancelled. No makeup date has been determined. 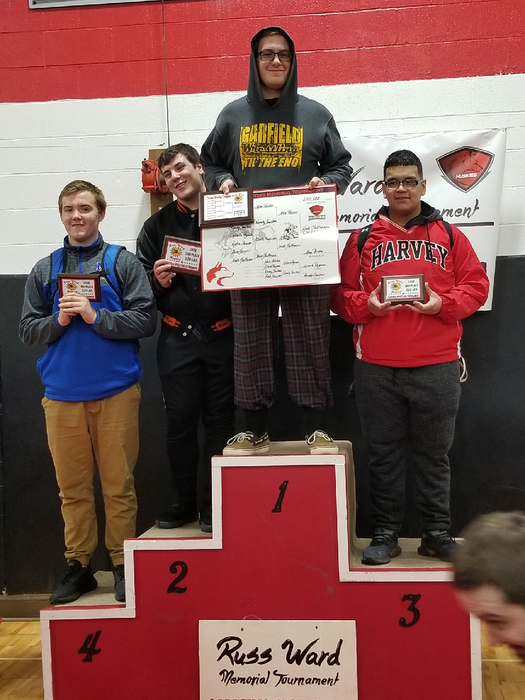 Congrats to Logan Kissell for being named MVP of the Cardinal Wrestling Tournament!! 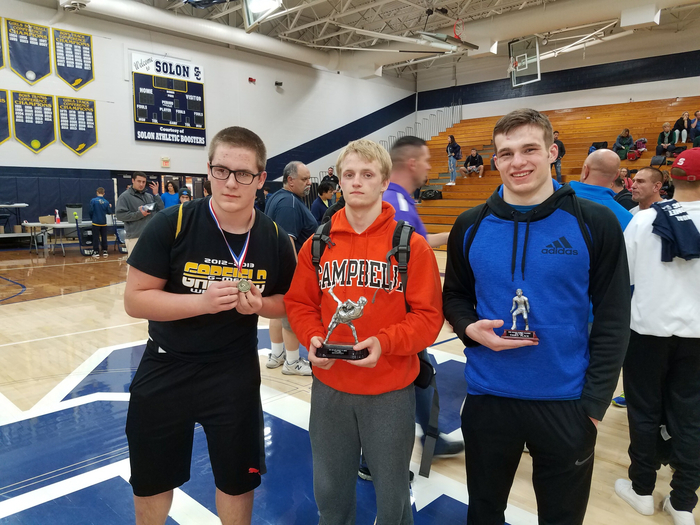 Congratulations to Logan Kissell for winning the 145lb weight class at the Solon Tournament! Tonight's Varsity Wrestling practice has been moved to 4 PM. Just a reminder if you are planning on attending Tuesday’s Football Banquet you must RSVP by tomorrow. 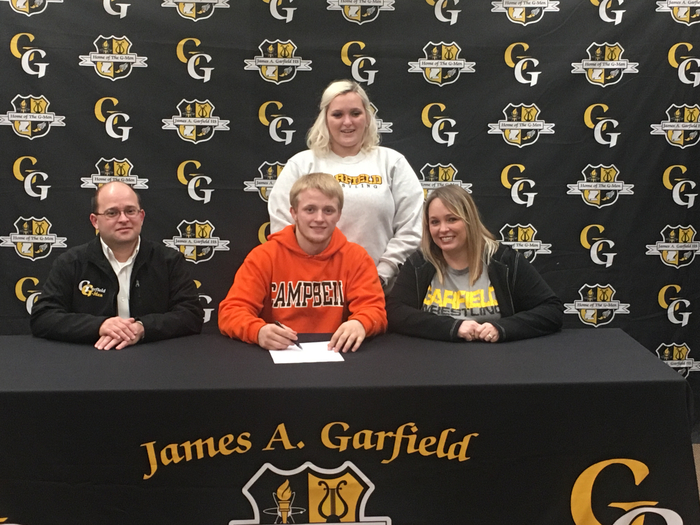 Congratulations to Logan Kissell for signing his NLI with Campbell University where he will continue his wrestling career! 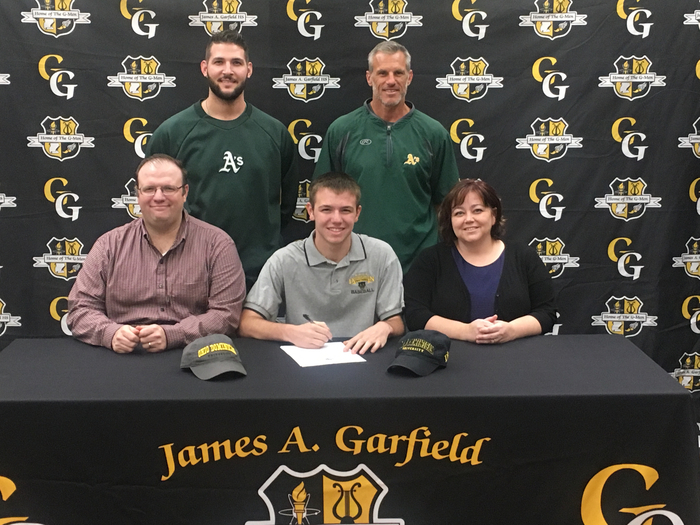 Congratulations to Billy Criblez for signing his NLI with Ohio Dominican University today where he will continue his baseball career! 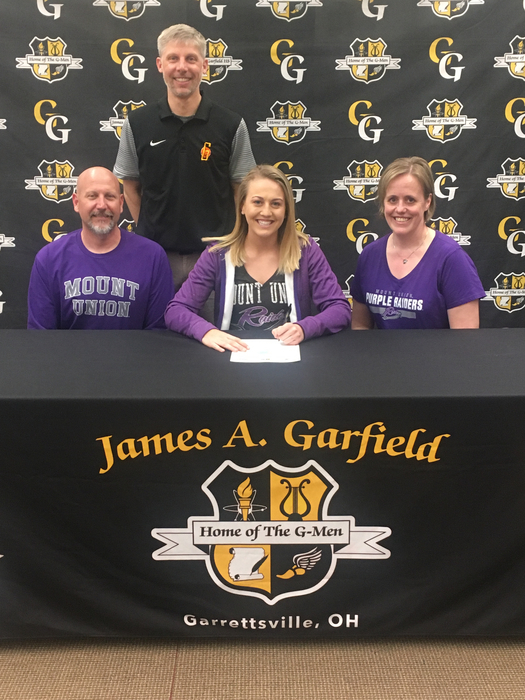 Congratulations to Lyndsey Johns for earning 1st Team Division 3 All District in volleyball! Congratulations to Gianna D’Amico and Kaitlynn Yukich for qualifying for next weekends District Cross Country Meet! Tyler Klouda takes home the district title! 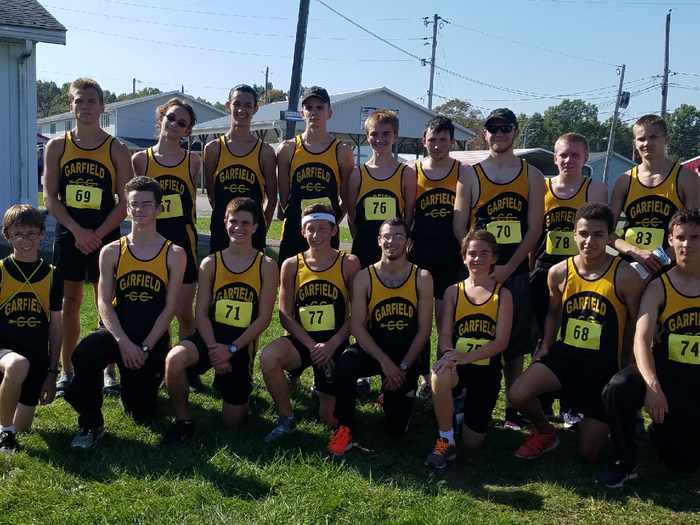 Congratulations to the Boys Cross Country team for winning the first District Championship in school history! 7th Grade Lady G-Men are your PTC Champions! 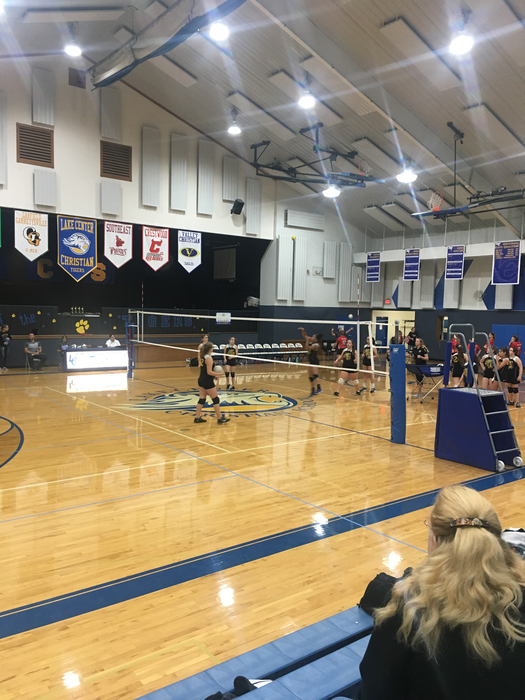 7th Grade Volleyball getting ready for the PTC Title Game! Remember to get to game early tonight for the Charles Chevrolet tailgate! Any senior who is participating in senior night this Friday needs to have their form turned into the office tomorrow. Student only presale tickets for Fridays football game will be on sale for $4 starting tomorrow. This is our last home game of the season! Lady G-Men top Maplewood 1-0. The girls will play at Rootstown this Thursday at 7 PM. 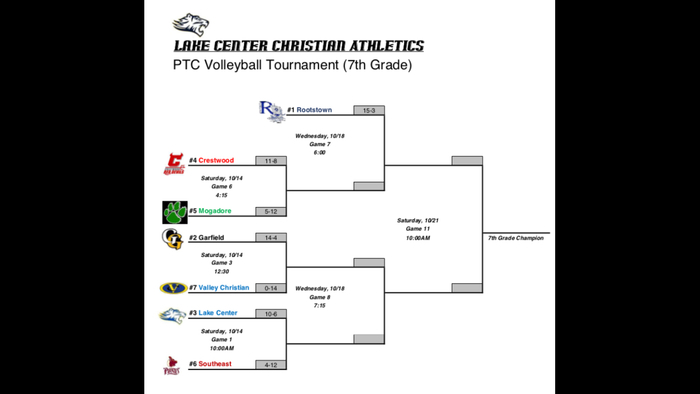 Both 7th and 8th grade volleyball teams won their first round PTC tournament games! Your 2017 PTC Champions! Lead by overall champion Tyler Klouda! 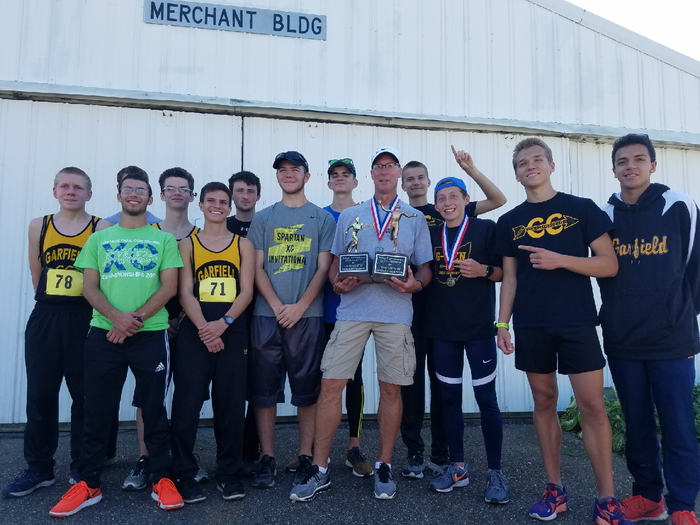 Boys Cross Country take home the PTC County Division Title! Congratulations to Chloe Pfile and Grace Mills for qualifying for next weeks District Golf Tournament! Congratulations to Derek Miller for qualifying for the District Golf Tournament. Derek had the top score among individual qualifiers! Contrary to what is being reported on social media, there will be tickets available at the gate for tomorrow nights football game. However, we are encouraging people to purchase presale tickets to alleviate the ticket lines. Congratulations to PTC Golfer of the Year Derek Miller and PTC Coach of the Year Tom Bartz! 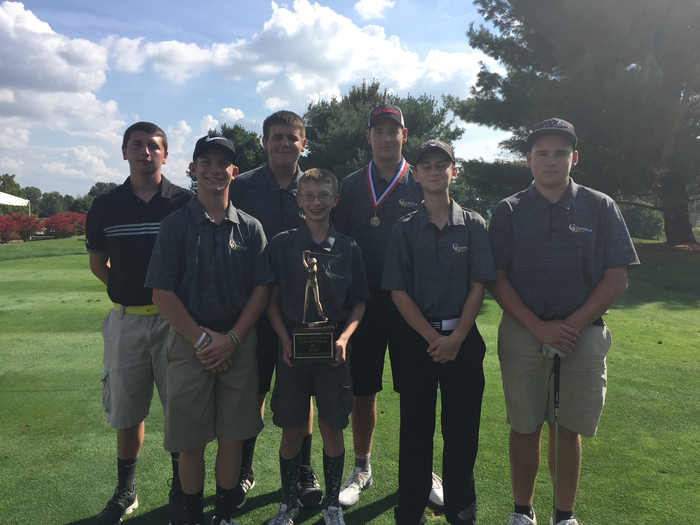 Boy golfers are the 2017 PTC County Division Champs! 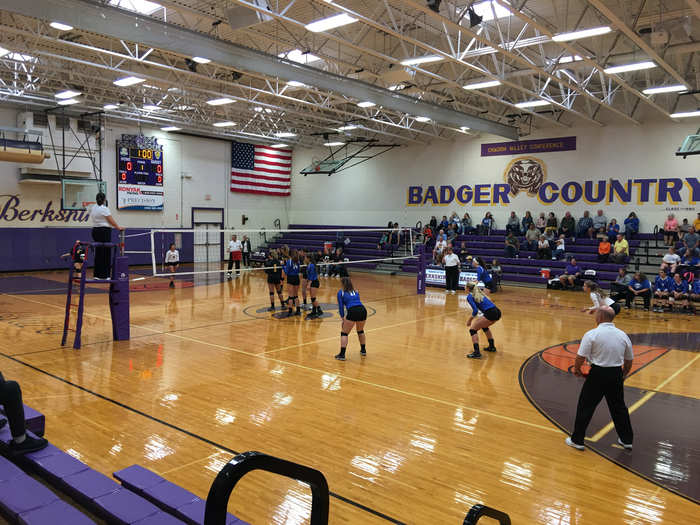 7th Grade Volleyball tops Grand Valley. The girls now have a 6 game winning streak! Presale student tickets for Fridays game will be available starting tomorrow for $4. We will also be selling adult general admission tickets at the HS Office for $6. Congratulations to the Varsity Volleyball Team for winning the Rootstown Tournament! Anyone attending Fridays football game at PV, Route 6 is closed between 45 and 46. 8th grade girls volleyball defeated Windham in 2 games. 7th grade volleyball defeated Windham in 2 games. 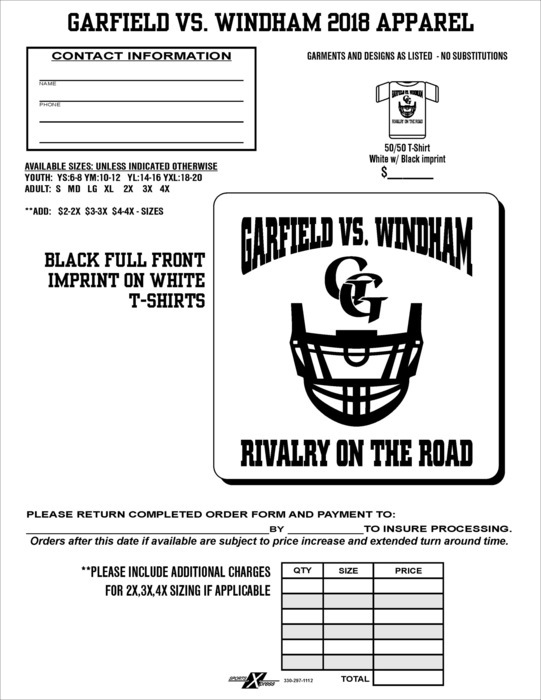 The All Sport Boosters are selling shirts for next weeks Windham game. 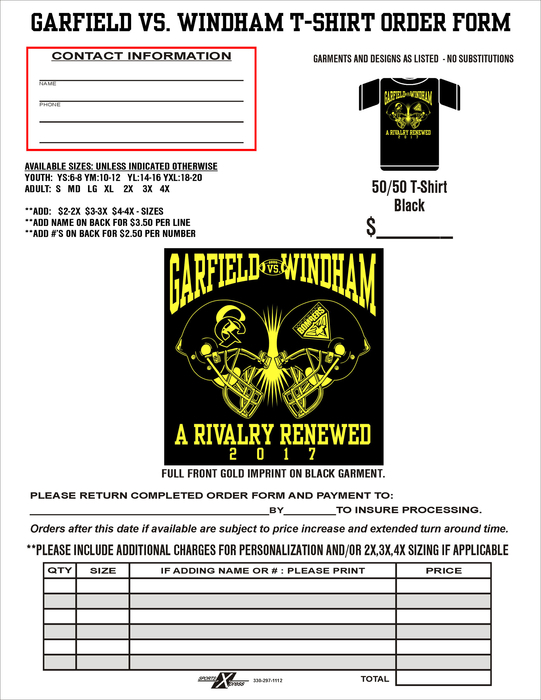 Order forms are in all offices and are due by next Wednesday. 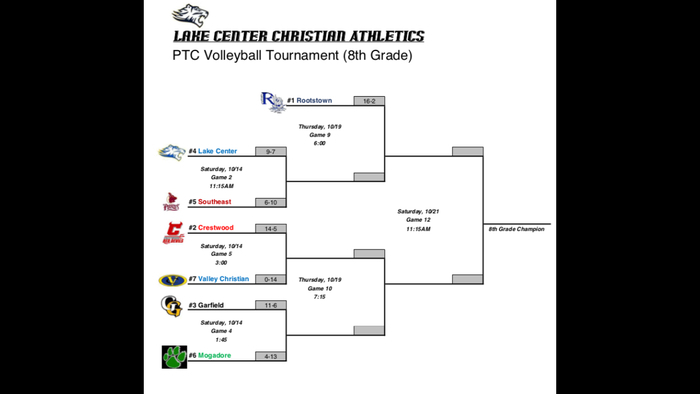 Both 7th and 8th Grade volleyball teams top Valley Christian 2-0! Congratulations to the girls CC Team for winning the Ray Sweeney Invite! The girls were lead by Gianna D'Amico's 2nd place finish! Congratulations to Tyler Klouda for winning the individual title at the Ray Sweeney CC Invite! Congrats to the boys golf team who defeated league leading Mogadore 179-188! Both JV and Varsity Volleyball top WRA! Student presale tickets for Fridays game will be available Thursday and Friday for $4. MS/HS will be sold at lunch and GES in rhe office. 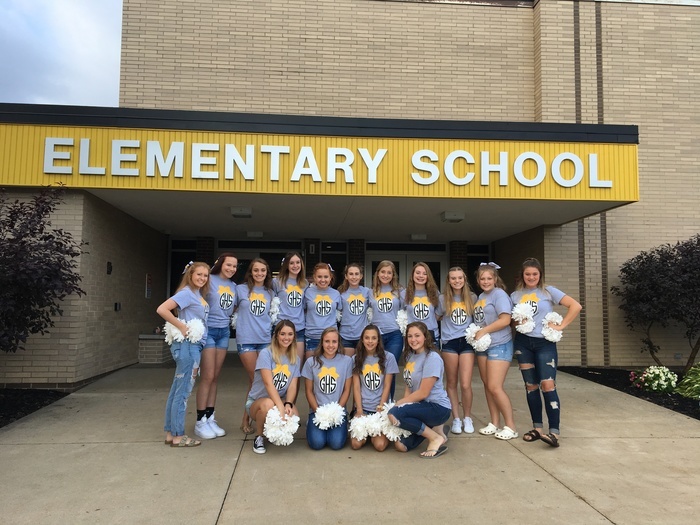 The 8th Grade Volleyball team will play first at Rootstown today. Family Athletic passes are still available for the 2017-2018 school year. Passes are good for all home events. Please contact Mr. Pfleger if interested. 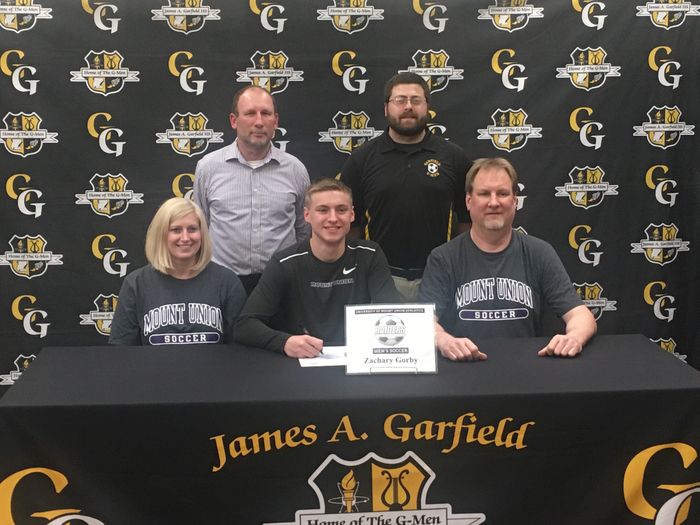 The JAG Athletic Department is in need of ticket takers for varsity soccer games. 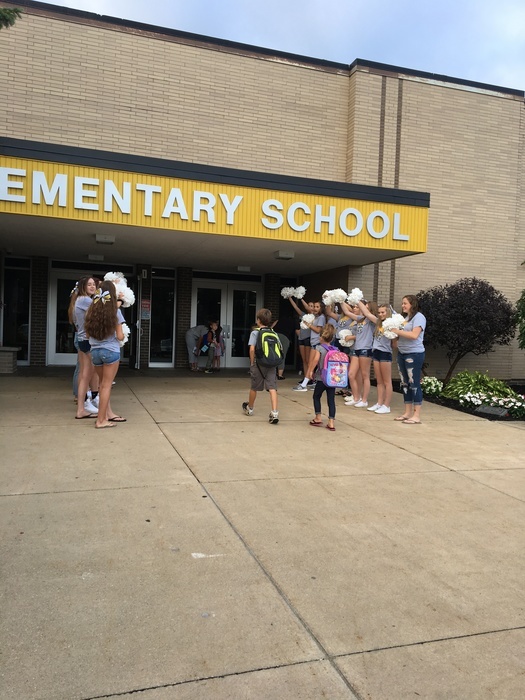 Volunteers recieve free admission to all home JAG Athletic events. Please contact Mr. Pfleger if interested. The first JAG All Sport Booster meeting of this year is Monday at 6:30 PM. Anyone is welcome to attend. Congratulations to Derek Miller for winning the 2017 Tiger Invitational with an impressive score of 75! Cross Country team car wash is this Saturday from 11-1:30 at the bus garage. Come out and support our runners! Athletes must have a current physical and all paperwork completed on final forms by the first day of practice in order to participate. Sport Physicals will be Saturday 6/17 from 9-Noon in the Middle Schools Gym. Price is $20 per student. 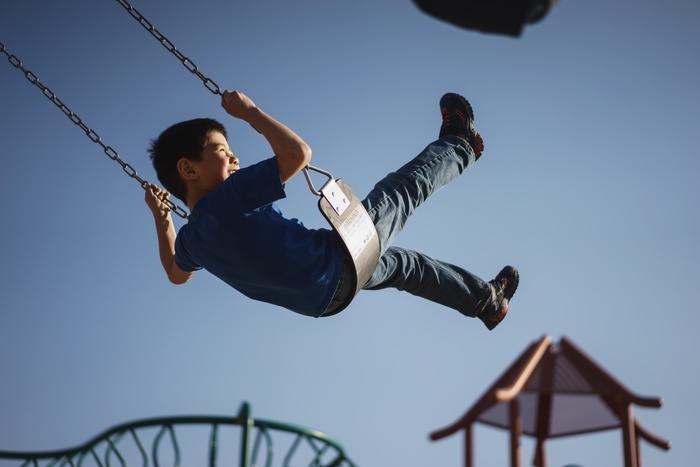 Health Tip: Exercise at least 30 minutes every day!